The ruling party in Tamil Nadu is AIADMK and earlier they also launched various people-friendly initiatives for the common people of Tami Nadu. AIADMK Government launched Amma Water, Amma Cement, Amma Medicine etc. initiatives for the people of Tamil Nadu. All these initiatives were very successful and now the government is confident that the new initiatives will also be very successful. Tamil Nadu Government will be providing a lot of people friendly initiatives in the coming days. The Government has already announced about the initiatives and the budget of these initiatives. The government has also allocated a certain amount of money for meeting the recurring expenses of some of the initiatives. Below we will know more about them. Tamil Nadu Government will provide Free Wi-Fi zones in 50 spots throughout the state. This initiative is yet another people-friendly initiative launched by the Tamil Nadu Government. People will be able to use internet without cost in the free Wi-Fi zones. The selected spots will comprise of bus terminuses, commercial complexes, parks, etc. The budget for this scheme is Rs 10 crore. 50 Higher Secondary schools and colleges will also be covered in the 1st phase of providing Amma Free Wi-Fi. The students of 50 higher secondary schools and colleges will also be able to use the free internet facilities launched by Tamil Nadu Government and the Tamil Nadu Government will be providing a budget of Rs 10 crore for providing free Wi-Fi in schools & colleges. The government has already provided a sum of 1.5 crore in this project. In the Assembly Poll of Tamil Nadu in May, the ruling part (AIADMK) made a promise that they will be providing free Wi-Fi to the people of Tamil Nadu and that is the reason behind this project. AIADMK wishes to help the people of Tamil Nadu by providing this free internet facilities to them. 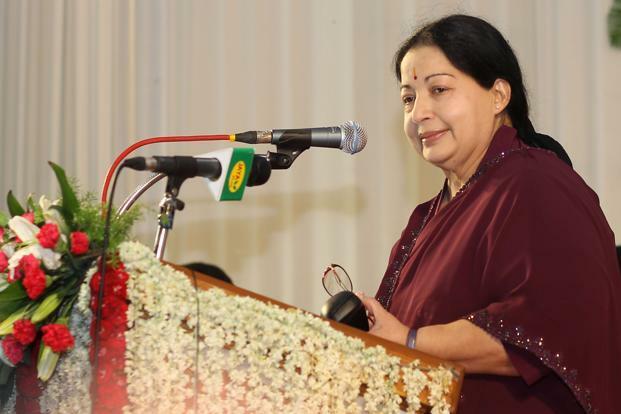 The Chief Minister of Tamil Nadu has issued orders to set up an integrated IT Complex for the people of Tamil Nadu. The total area of this IT Complex will be 2 lakh square feet. This IT Complex will be set up at a cost of Rs 80 crore and it will be set up in Sholinganallur. Tamil Nadu E-Governance Agency will be launching 650 e-registration centers. These centers will be very useful because it will allow the people of Tamil Nadu to access the services offered by the Government Departments of the state. The budget for this project is Rs 25 Crore. The E- Registration centers will be managed by ACTVC and ELCOT. Firstly, the e-registration centers will be established in the Chennai Corporation and the subdivision offices in the city areas. The government will introduce a new scheme named Assured Multi-Modal Access. This scheme will allow the people of Tamil Nadu to access government services using their mobile phone. Also, the Tamil Nadu Government will be providing 25 different services for the people of Tamil Nadu under this scheme. The total budget of the scheme is Rs 1 crore. The main reason behind this scheme is that a lot of people are using mobile phones for availing government services. The Tamil Nadu Government has also announced that they will be constructing new buildings to house the government offices. All these initiatives will help the people of Tamil Nadu and they will be able to gain benefits from the initiatives. Dwellers within the range of the internet connection can use the same by switching on the settings on their device. The users have to click on the hotspot name in order to connect with the same. The users have to provide their contact details and email address. After this, they would receive OTP via message and email service. Soon after entering the OTP, the Wifi connection would be initiated. The free internet connection would be available only for 20 minutes. Soon after this, the Wifi connection would get disconnected, and the payment details page would pop up on the screen. The users can choose either a ‘one-hour’ or two-hour’ package according to their needs. They have to pay according and the charge per hour is Rs.10. The payment can be done via debit or credit card or through net banking procedure. However, this connection can be extended to both rural and urban areas, and the state government is making ways to expand the Wifi zones to make it easier for the users. Therefore, with the help of these zones, users would be able to make more use of the internet connection and the technology easily.